Born in Zurich, Switzerland raised in Surrey B.C, this bilingual young lady first hit the stage at the age of three. After many years of extensively training in: ballet, jazz, modern, tap, and musical theatre, she followed her dreams of becoming a professional dancer. 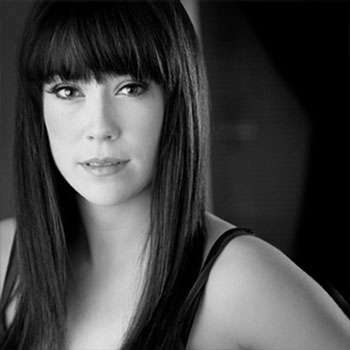 Best known for her participation in CTV’s Canadian series of “So You Think You Can Dance” as a top three female finalist, she has gone on to work in a wide range of dance projects such as: The Olympic Opening ceremonies for Sarah McLaughlin dancing alongside the incredible Alberta Ballet and Ballet B.C, “The Lizzie McGuire Movie” as Hilary Duff’s dance double, and as the principal motion capture dancer for the animated Barbie movies as the role of “Barbie” herself. After ten years of working professionally in Canada, she is stepping away from the stage and going behind the scenes into the world of choreography, she is thrilled to be Mattel’s local choreographer for animated Barbie movies. Her passion as a dance artist carries over to her many teaching credits across Canada: including her very own workshop entitled “EVOLVEdance”. Alongside teaching, she is a reputable adjudicator for competitions and festivals across the country. Her heart and soul is dance, her passion is working with kids and creating choreography; her versatility as a dancer has allowed her to enjoy an exciting career as a performer. Truly destined for the world of performing arts, this young artist is inspired to continue her career in a new role.